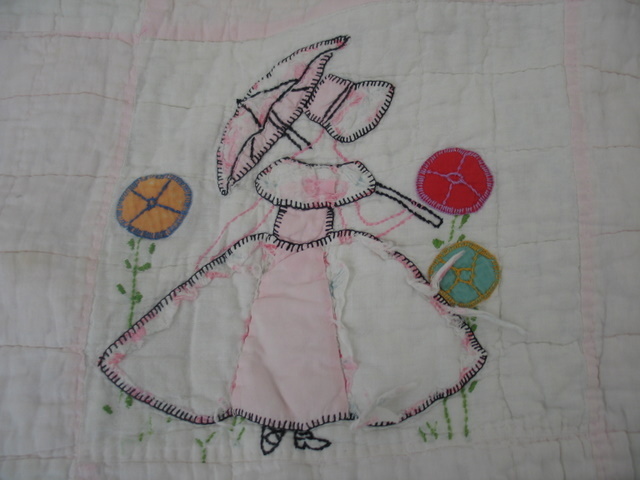 I have been asked to replace the fabrics on this little lady’s dress, bonnet and parasol. 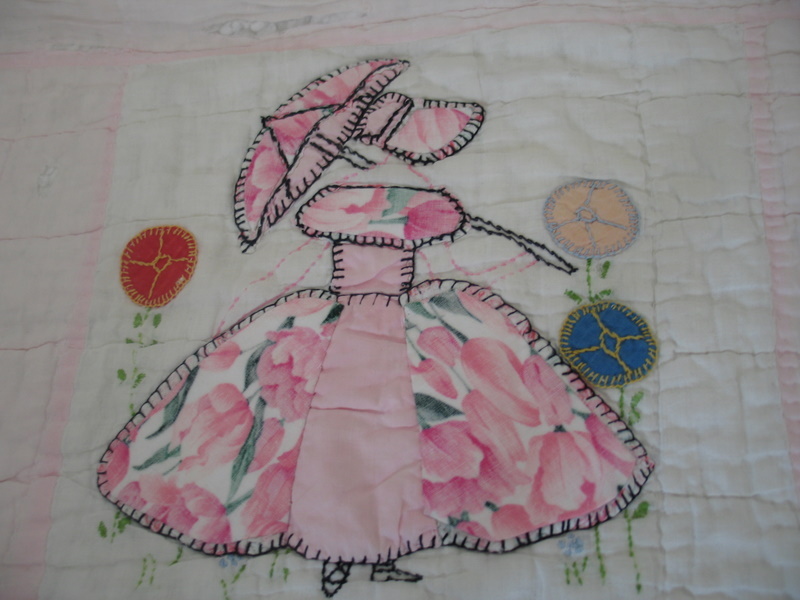 It seems to me that it is important to be sure not to cover up all of the lovely blanket stitches around the image. So I am appliqueing the fabric just a little bit smaller than the initial pieces and zig-zagging them in place with invisible thread. That’s some pretty intense work! good job! I wouldn’t have thought to preserve the original stitching!